The life of every child is exciting and should be celebrated. We just celebrated my daughter’s 7th birthday this past week, so it got me cherishing our own traditions. These 20 meaningful birthday traditions (It’s actually 20+ now as it grew with some of my friends’ ideas). should give you wonderful resources that bring intentionality into the home as you watch your child reach the next milestone. Creating traditions bring children a sense of belonging, security and help them feel honored. We want our kids to learn the value of their lives, which should happen daily but can bring special meaning on the special occasions in their lives. If you love celebrating birthdays in fun and creative ways, you might enjoy visiting my parties tab. 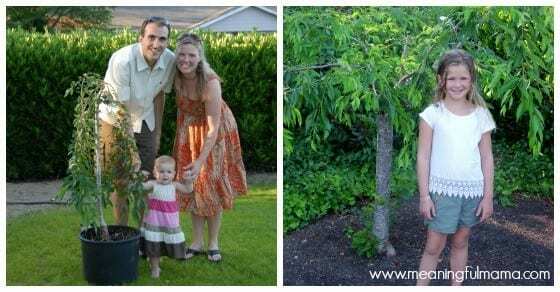 I have gathered 20 meaningful birthday traditions based on ideas we have done in our own home as well as ideas gathered from other bloggers around the web. Please click through the provided links to access the ideas and understand the concepts more thoroughly. We planted a tree on our children’s first birthday. Each birthday we take a picture with the tree. It has been fun to watch them grow together. It’s never too late to plant a tree for your child. 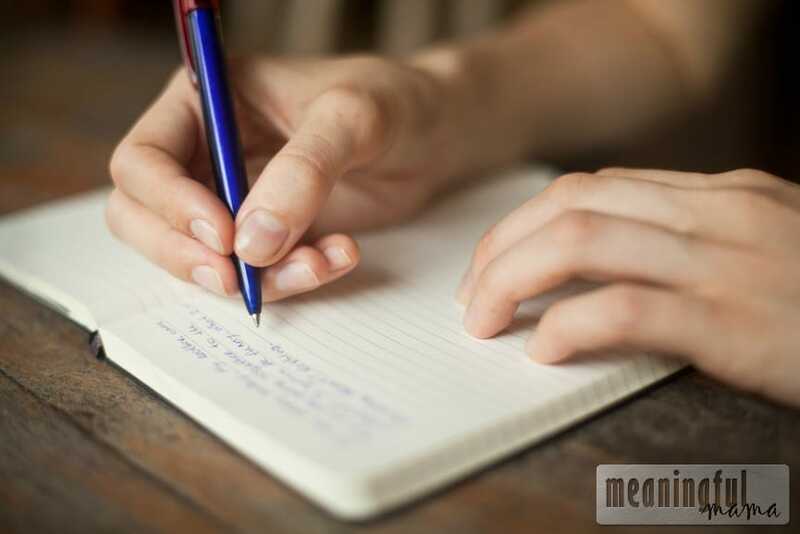 Write a letter to your child on their birthday telling them all of their personal milestones, interests, talents and what you love about them. You could present them with all of the letters on their 18th birthday. What a fun surprise. Many of us have written down the story of their child’s birth. Whether it is in a baby book, a personal blog or just is engrained in your brain, it would be wonderful to pull their story out on their birthday so you can rejoice in the excitement that you experienced the day they entered the world. Pull out the picture albums. Why not create a picture collage that is in the shape of their age. 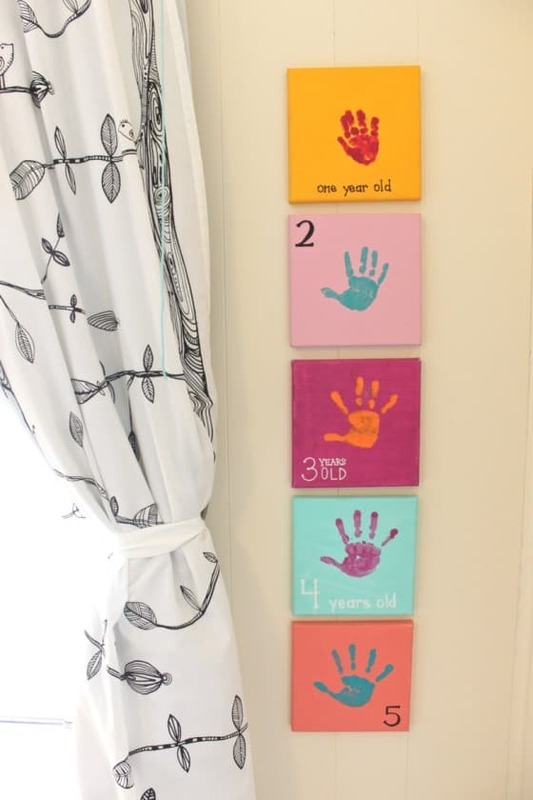 My friend does this every year for her kids, and it’s a great way to have the kids see the special moments from birth until the the current day. I know many people do this, but I wanted to mention that it is their day, and it’s great to let them have some say over what the celebration looks like, within reason of course. My kids choose a theme or reasonable location every year. Just visit my birthday tab so see some of our ideas. 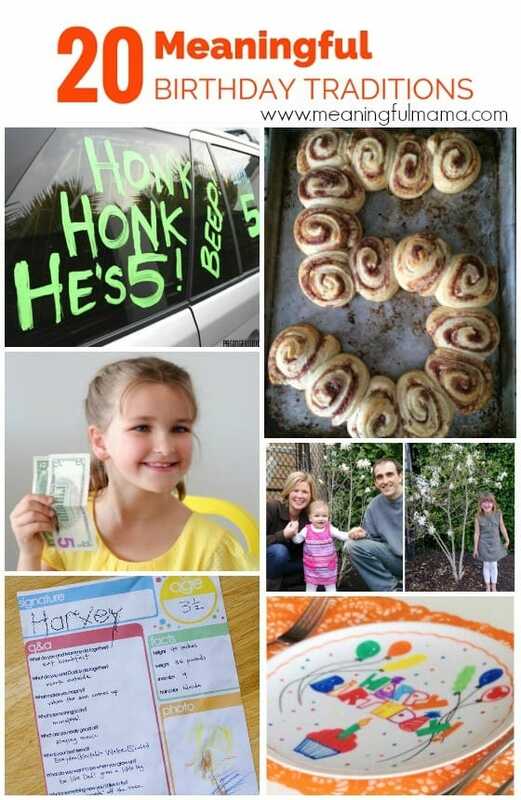 Of course, these Pinterest-y birthdays aren’t for every mom, but if it does breathe life into your family, it can be a lot of fun. The birthday pictured above was a time my daughter decided she wanted to tie her June 30th birthday in with our 4th of July celebration. I wouldn’t have dreamed of having a 4th of July birthday party. I love to decorate for the party or their birthday after they go to bed. 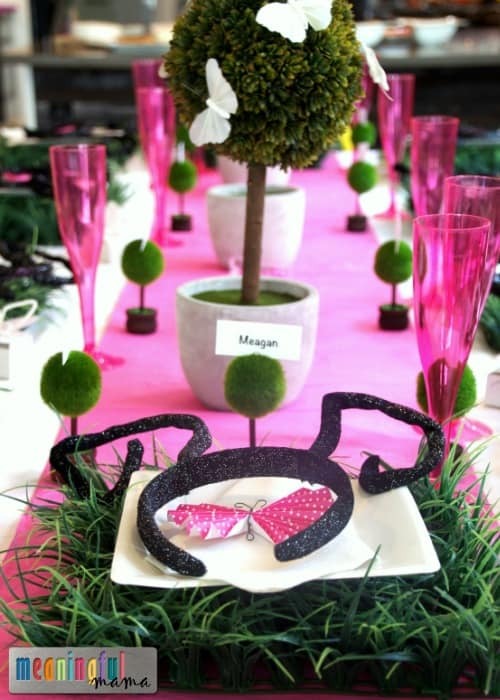 Then, they wake up to a fun surprise as they have a visual indication of the celebration of their life. A friend of mine lets their child choose every meal for the day. People gather and celebrate around food. Their birthday can become all about the things they love. Also let them choose their favorite cake flavor. A friend of mine grew up where the after-birthday tradition was to have birthday cake for breakfast. 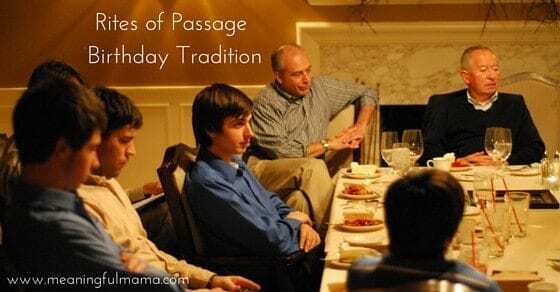 Older kids who are coming of age can go through rites of passage. Axis Ministries has a great rites of passage post about daughters and about sons. My husband’s uncle had a formal celebration when his sons turned 16 (he only has sons, so this would be great to do with ladies too). He invites all important men in their lives, rents out a nice facility, everyone comes dressed up and they all write out advice or memories. It is a very meaningful time for this boys and helps establish a great foundation for moving forward as a man. Do an art project to mark their growth. Some people have growth charts. Others, like Mama.Papa.Bubba do great art projects like the one featured here. We have done a ribbon growth chart that shows the growth of more than their height. 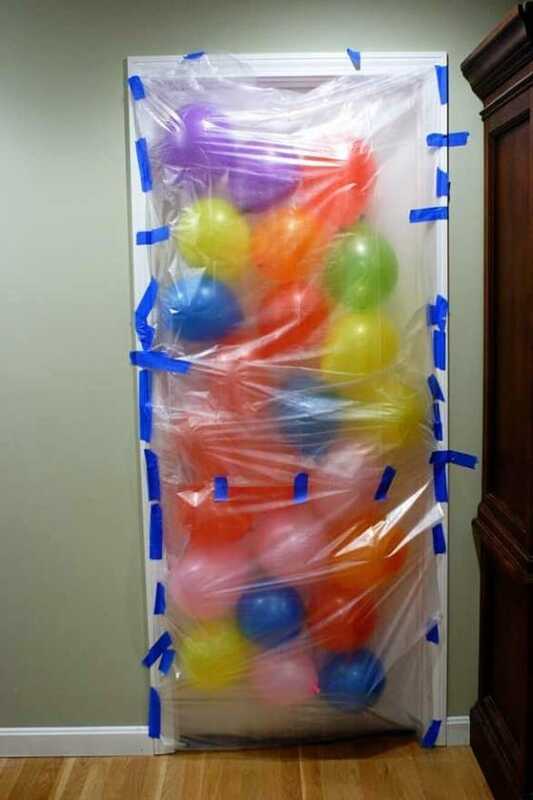 Why not have your child wake up to an avalanche of balloons? Do it and How shows us how. 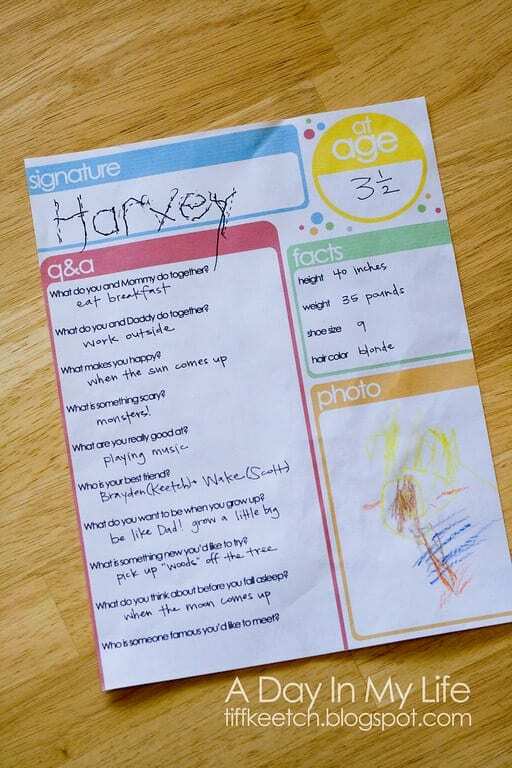 Head on over to Tiff Ketch to get a copy of your own birthday interview so you can keep a record of your kids as they grow. 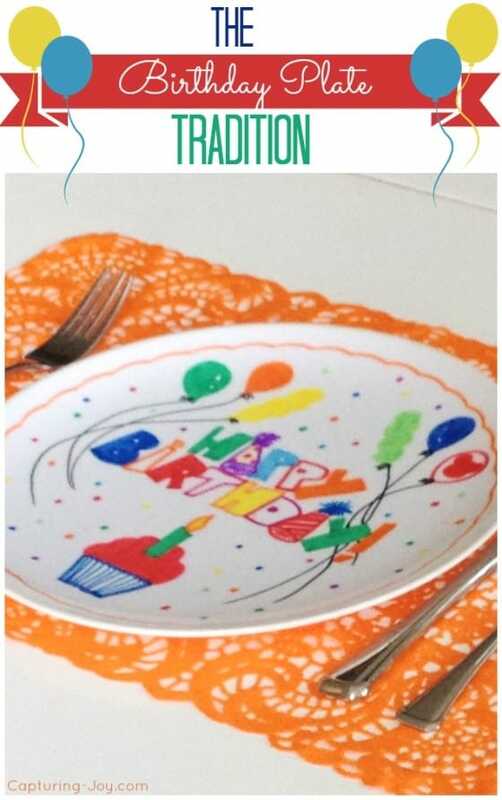 Have a special birthday plate tradition like the one found at Capturing Joy. We have a traditional You Are Special Today (affiliate) plate for our kids. 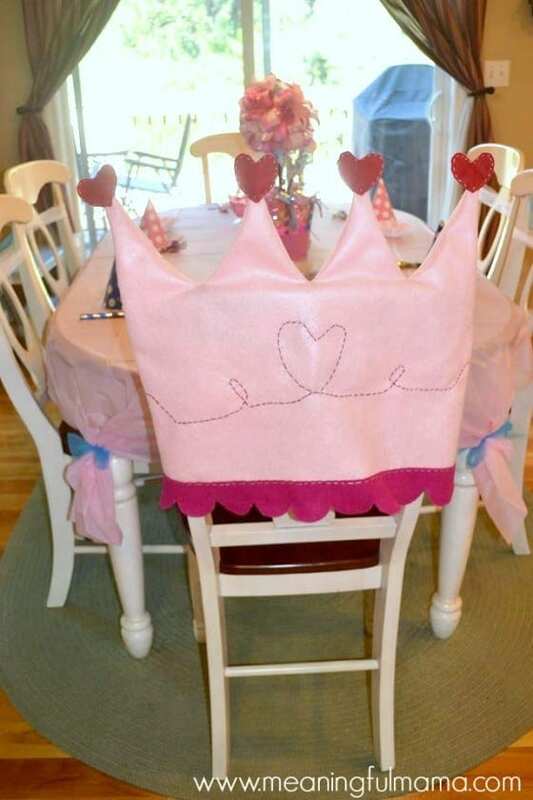 A friend of mine sewed this adorable chair cover that comes out every birthday. She said it was really simple to make. Her children get to sit at the throne for the day and chose a special dinner. I love this idea from Biblical Homemaking. 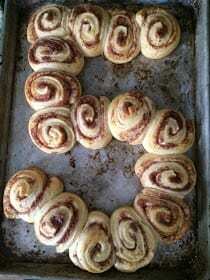 She made cinnamon rolls in the shape of the child’s age. How fun! 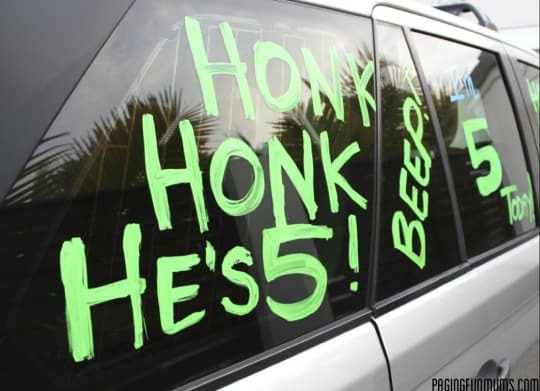 Paging Fun Mums had the great idea to get the whole community involved by decorating the car and having others honk to acknowledge her son’s birthday. My friend celebrates “Double day” for couple digits — double breakfast, double dessert, double hugs, double Birthday cards, and whatever random double thing we could come up with. 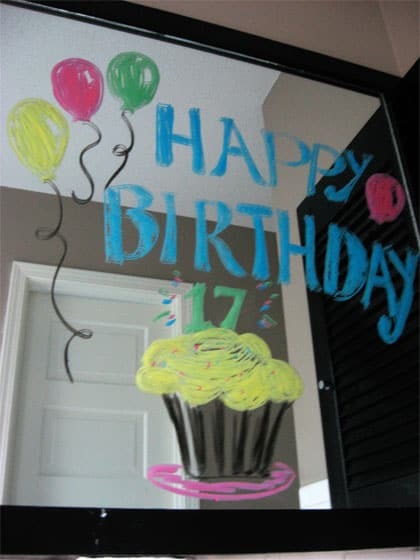 Skip to My Lou shows how special it is to decorate mirrors for birthdays. How meaningful and impactful to sponsor a child with the same birthday. You can make it a tradition to write to this child and send birthday gifts each year. Learn how to sponsor a child here. 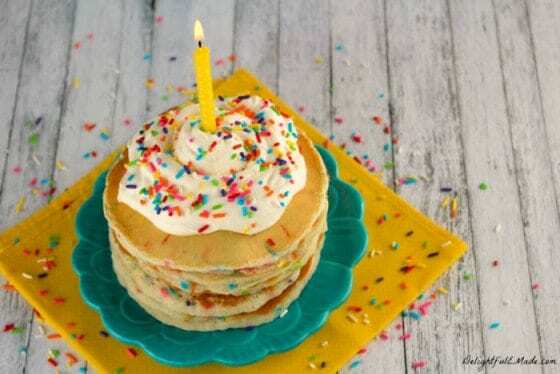 I already showed the cinnamon roll age breakfast idea, but these Funfetti Pancakes from Lil’ Luna look absolutely fabulous and could become an annual tradition for your family. My kids’ great grandparents give our kids a dollar for every birthday. They love this gift, and it is a reasonable way for grandparents to gift to all their grandkids. This particular set of great grandparents have 30+ to give to throughout the year. Another idea is to take a special lunch to their school. 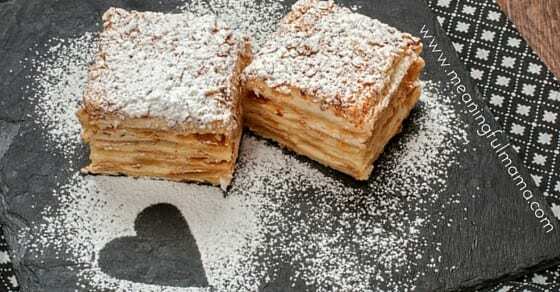 This can be a delivery from one of their favorite restaurants or a special home cook meal you whipped up. A friend of mine had a surprise middle of the night celebration for her eighteen year old. 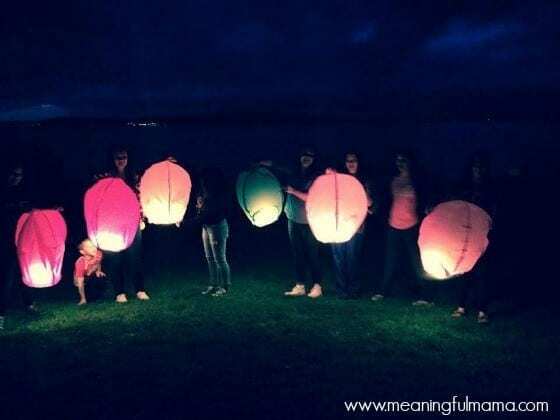 Her dad picked a special verse for her, prayed a blessing over her, and her friends lit Chinese lanterns to have a great send-off into adulthood. Breakfast in bed is a special way to honor the birthday boy or birthday girl. The morning of the whole family can gather around the birthday child’s bed, waking them up by singing happy birthday. They get to eat breakfast in bed and receive their gifts first thing in the morning after breakfast is finished. One of my friends told me their birthday tradition is to give gifts as the first thing of the day. I bet it is fun for her kids to anticipate waking up in the morning knowing that surprises await them. When I asked a friend about their birthday traditions, this is what she said, “We have a budget of what we spend per kid per birthday (party + gifts). The kids have almost complete control of their celebration. 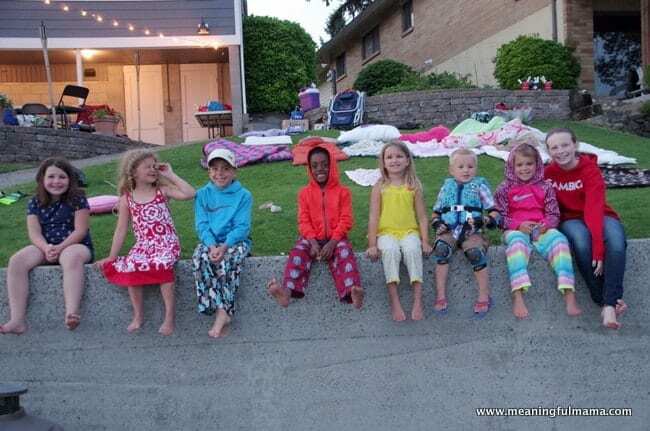 One kid always wants as big of party as possible with all her friends. She’ll even make her own cake and cheap snacks. Another doesn’t care for much of a party, just wants an ‘experience’ gift with the family. Another wants a bigger/better present. 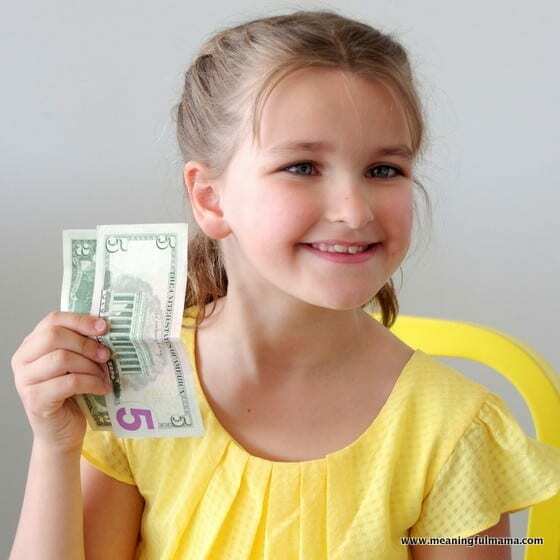 It’s a really cool way to learn their live languages and also let them learn to work with a budget.” I love this idea. One of my friends noted that her kids love ribbon door streamers like these ones found at I Love my Disorganized Life. I’d love to hear about your own unique and meaningful birthday traditions. Leave a comment so I can be inspired by your family ideas.